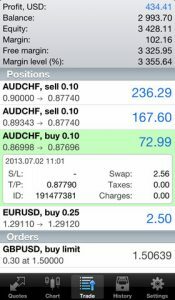 MetaTrader 4 is an iPhone app developed byMetaQuotes Software Corp. 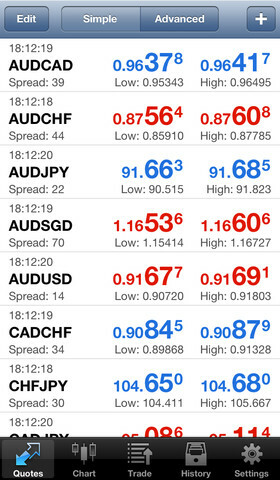 The MetaTrader 4 trading platform developed by this company is the most popular Forex trading application in the world. 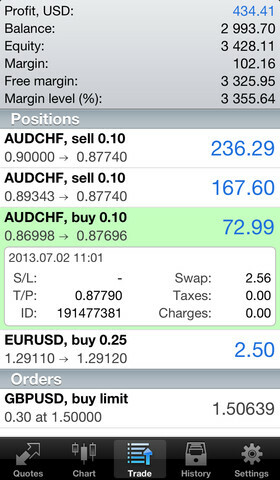 This handy app lets you trade Forex right from your iPhone, and boasts real-time zooming and scrolling of charts. Since that review, MetaTrader 4 has seen a lot of graphical updates. This makes the app a lot easy to navigate and digest. This app has always been really solid in terms of information. Now, it’s also really solid in terms of navigation and clarity of information. A great app just got greater. More than 1,400 servers of brokerage companies using the MetaTrader 4 trading platform are available for users of this app. 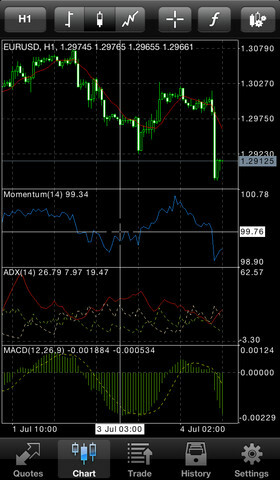 With this application you can control your account, trade in financial markets and use 30 technical indicators for market analysis, as well as get financial news and emails. 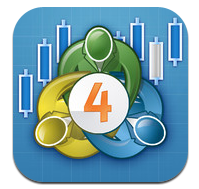 The latest update to the MetaTrader 4 app is Version 4.0.501. This version features, completely redesigned charts, a new news and mailbox section, and sound notification when performing trade operations. The mailbox section allows traders to communicate with a broker’s representatives over a secure channel. 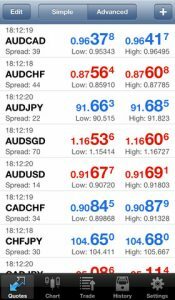 The app is also available for iPad, which offers the ability to view 4 charts at once and also boasts one-click trading from chart. Whether you snag it on iPhone or iPad, this powerful app is an amazing value for a free app. 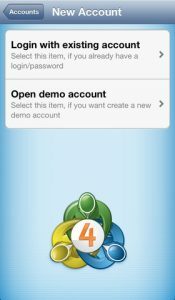 MetaTrader 4is compatible with iPhone 3GS, iPhone 4, iPhone 4S, iPhone 5, iPod touch (3rd generation), iPod touch (4th generation), iPod touch (5th generation) and iPad. Requires iOS 4.3 or later. This app is optimized for iPhone 5.